Wouldn’t it be great if you could literally age backwards? Well now you can with just one little pill that cost pennies a day, and your doctor does not want you to know about because it will put him out of business. Gotcha! See what happens when copywriting supersedes science and truth? You are given something you truly want to believe and someone feeds it to you hook, line and sinker, all for a price that seems reasonable — whatever that price may be! OK, OK, sorry — my staff has been putting some of the nonsense that so-called experts are out there hawking. You know the same people who make all kinds of crazy claims and you are just waiting for them to try on an orange suit or move to Panama because their nonsense has finally caught up with them! Well, here is the scoop on aging at the moment. Now I am not pulling your leg or making fun of my colleagues who hire clever copywriting teams. 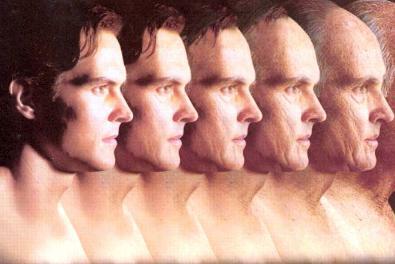 You actually can age backwards at least using some measure of aging and some cell lines in your body. Right now we tell people, “make it to over 80 and you’ll start ‘outliving’ heart disease”. This has been translated by some as the “death rate goes down after 80”. NO, it doesn’t. The death rate from cancer and infection goes up; the death rate from cardiovascular disease goes down. If you make it past 60 and you could beat those 3 things, you have a great chance of a very long and healthy life. So how can you age backwards? The only way I currently know and that has been proven to do exactly what it says it does is a very expensive supplement called TA-65. It is the kind of thing we wish we could put huge numbers of people on and get age-related data much sooner, but that is not likely to happen. No one outside of small private companies has any interest right now in preventing aging or reducing the cancer and infection rate, at least not enough to subsidize this product and make it widely available. How valuable is it? Well, in my own version of that gum commercial on TV — you know the one where the guy comes home with 20,000 packs of gum as payment — I worked for the company that developed it for a while and I asked them to pay me in TA-65 so I, my mom and my sister could be on it. I believe in it that much and it is that valuable. Not surprisingly, many others do as well. What we expect with long term data on TA-65, which has been shown to lengthen the biological time clocks in a very real sense, turn them back like daylight savings time — in this case life savings time — is there will be less cancer and less infection as we age. We also know that telomeres are intimately involved in heart disease as well. The early data suggests great that telomeres are intimately involved in heart disease as well. The early data suggests great findings in bone density, immune function, blood pressure, blood sugar and inflammatory markers to name a few. All good and all scientifically validated. But what can the person do who cannot afford the supplement (it ranges between $2,200 and $8,000 a year)? The answer is simple: Green tea, multi-vites and fish oil. All have been shown to SLOW DOWN the rate at which the time clocks tick and get shorter. This translates into longer life among the people that were studied. It also translates into better health, making this combination of multi-vites, green tea and fish oil a very real contender for the best of the anti-aging “drugs” out there that are affordable to just about everyone who really cares about their life, the lives of their loved ones and their health as well. I make the best fish oil and Omega 3 supplements in the world bar none. But it does increase the viability of cells and I have verified that in the very same lab that tests for lengthening of your time clocks. I also make a tremendous multi-vite that has green tea extract in it and I let you combine it with one of the best antioxidants out there, called Cardio Booster. This combination is called the Daily Dose Pack it has my fish oil, my multi and my Cardio Booster all at a bargain price. Anyone can slow down the aging process with a little help! P.S. unlike several others out there who claim to be able to reverse the aging process with potions and pills or “are personally convinced” they have something that works, I spend the time, the money and the energy to verify what works and what does not and I will not tell you something that is not true! P.S.S. keep an eye out for my upcoming book (co-authored with anti-aging experts Mike Fossel and Greta Blackburn) called “The Immortality Edge”.